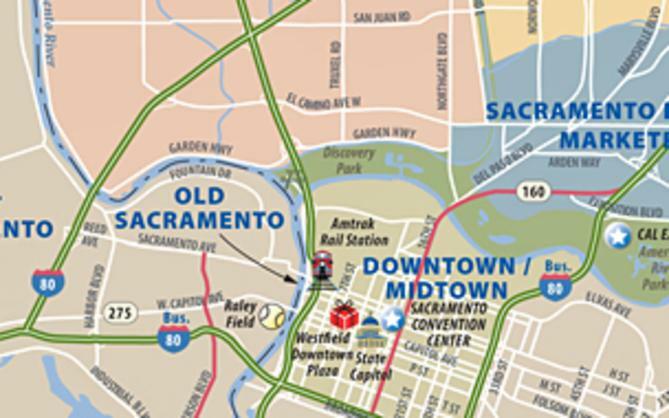 Sacramento is located in the heart of Northern California and is the perfect base from which to visit some of the most important California attractions. 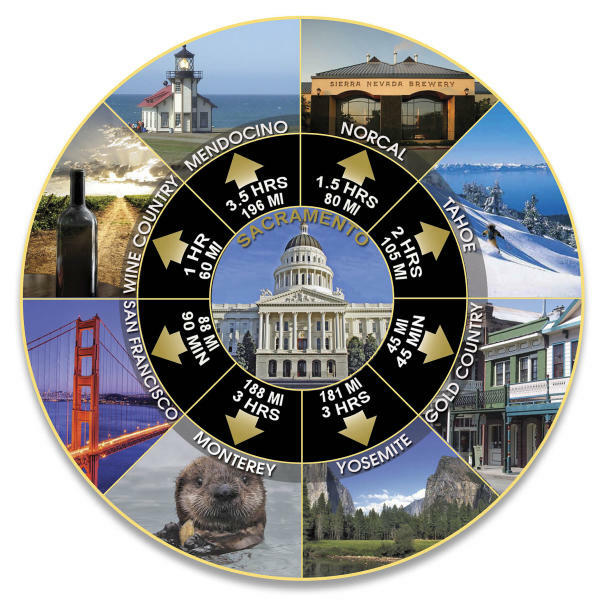 Whether you&apos;re into adventure travel, family fun, history, culture, food tourism or any number of other activities, Northern California is full of fun. 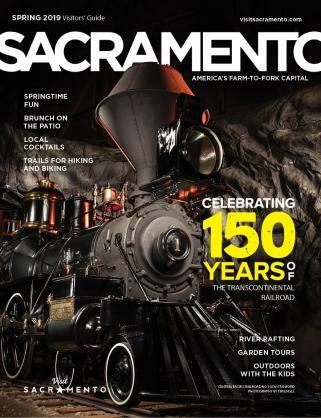 Below is a selection of some of the most popular sites that are easily accessible from Sacramento. Have an interest and don&apos;t see it listed? Give us a call at 916.808.7777. The Gold Rush of 1849 was the largest migration in human history, and it all started 45 minutes by car from Sacramento when John Marshall discovered gold at Sutter&apos;s Mill. Today you can visit the Marshall Gold Discovery State Historic Park for museums, gold panning, a recreation of the original mill and many other activities. You can also visit Gold Bug Mine to tour an actual gold mine in nearby Placerville. Napa and Sonoma valleys are a mere hour from Sacramento, and it&apos;s easy to reach from the city, as Sacramento International Airport is the closest airport to wine country. But the wine country to the west isn&apos;t all that&apos;s around Sacramento. If you&apos;re looking for up-and-coming wine regions where tastings of award-winning wines are often free, check out the Lodi, Clarksburg and Sierra Nevada foothill wineries. Located just 90 minutes from Downtown Sacramento, the world-renowned San Francisco is a quick trip. Take in views of the Golden Gate Bridge, visit museums and go for a ride on a cable car. Amtrak Capitol Cooridor trains are a great way to connect if you don&apos;t have a car. The largest Alpine lake in North America is a two-hour drive from Sacramento and offers fun year-round. 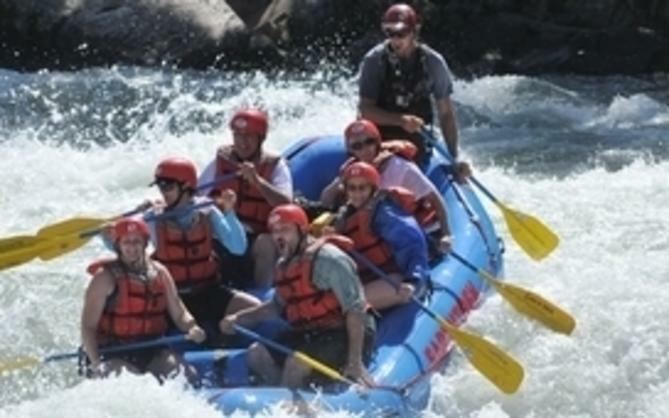 Whether its skiing and snowboarding, bicycling, hiking, rafting, lounging by the lakeshore, shopping or trying your luck at one of the casinos on the Nevada side of the border, Lake Tahoe is a favorite destination for Sacramentans and visitors alike. This UNESCO World Heritage site is three hours from Sacramento. Gaze at Half Dome, hike to Yosemite or Vernal falls, spot wildlife on the valley floor, learn about the glaciers that created the valley and find out how people are working to preserve the natural beauty for generations to come. Down the coast from San Francisco and a three-hour drive from Sacramento, Monterey is rich with history. The Monterey Bay Aquarium is a star attraction, and you can see the ever-cute sea otters in what remains of their natural habitat. Nearby Santa Cruz offers surfing culture and the Santa Cruz Beach Boardwalk. Also nearby is Carmel by the Sea and the world-famous Pebble Beach Golf Course on 17-Mile Drive. The Northern California coastal town of Mendocino is three and a half hours from Sacramento and offers a quaint shopping district, the popular Skunk Train sightseeing tours, wineries, lighthouse tours and Pacific vistas. Don&apos;t miss it during the whale migration season.